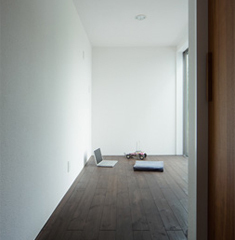 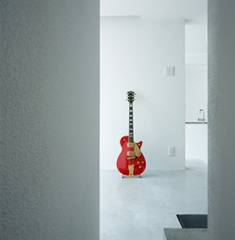 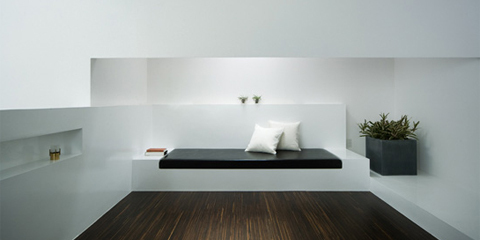 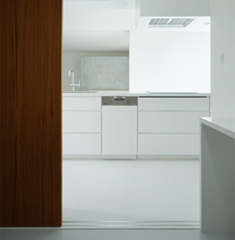 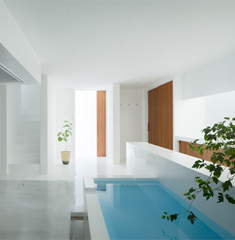 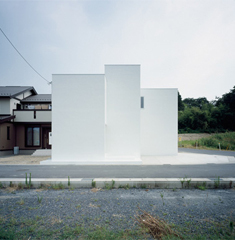 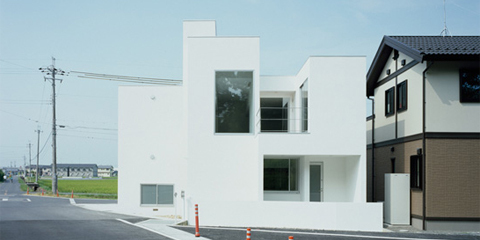 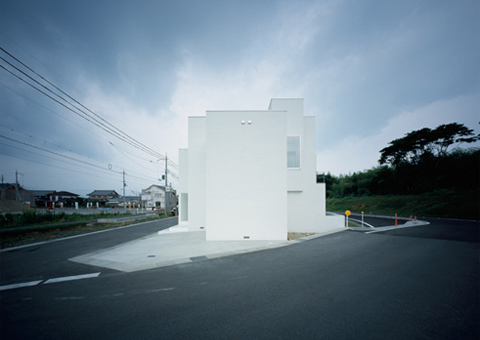 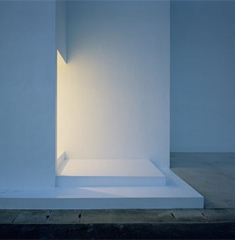 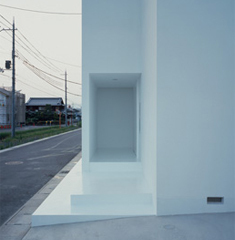 FORM / Kouichi Kimura Architects designed a minimal residence for a young couple located in Shiga, Japan. 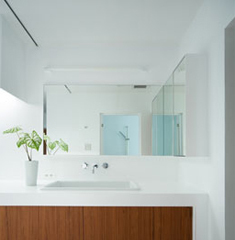 The client desired an open and varied space connected with the outward world while closed inward to protect privacy from neighborhood. 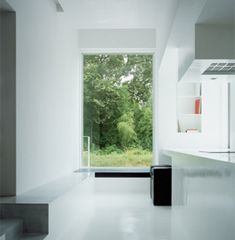 Reason why the windows of the home are positioned to afford views of the nearby hills but restrict views of the immediate neighborhood. 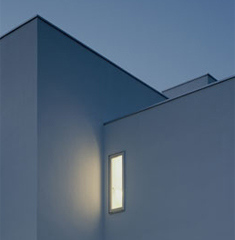 Inside, the �diffused space�, which is neither single nor too much divided, provides to the owner a variety of living spaces produced with the views clipped from landscapes, introduced lights, and flexible spaces.